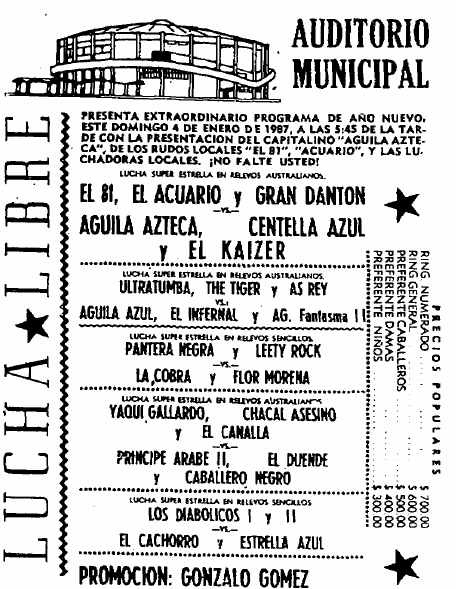 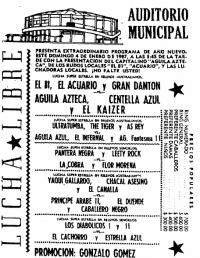 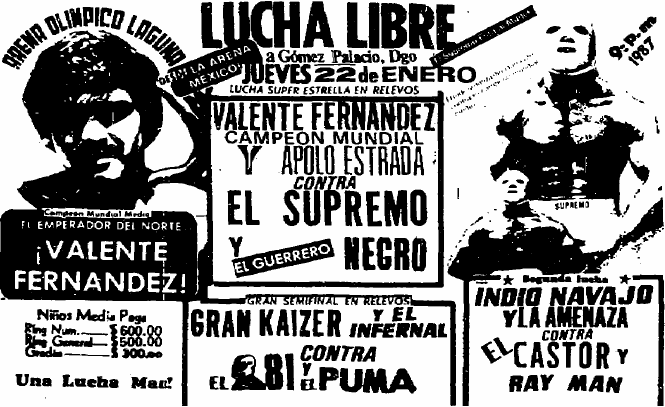 4) Gran Apache, Gran Apache II, Maravilla Lopez vs Mohawk, Mohicano I, Zorrillo Jr.
Five quarterfinals? 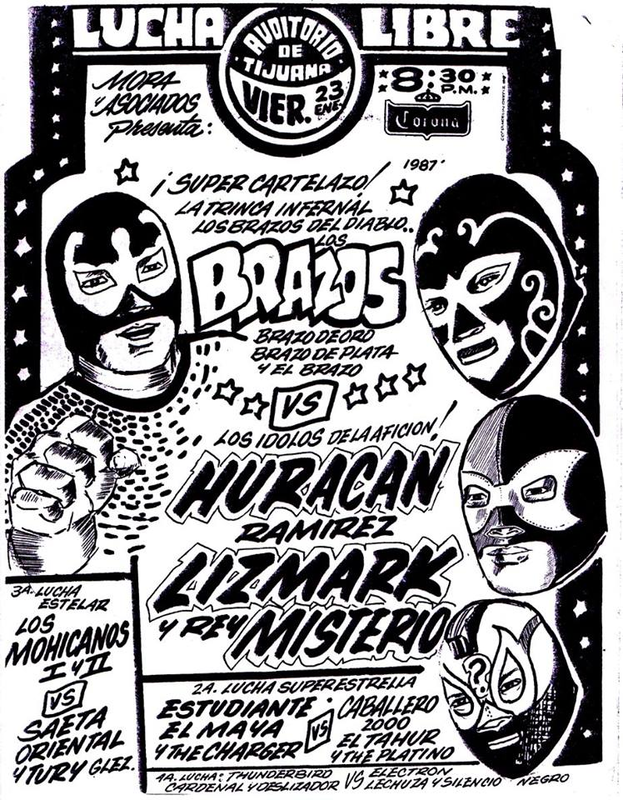 One of these Marina wins is probably a play in. 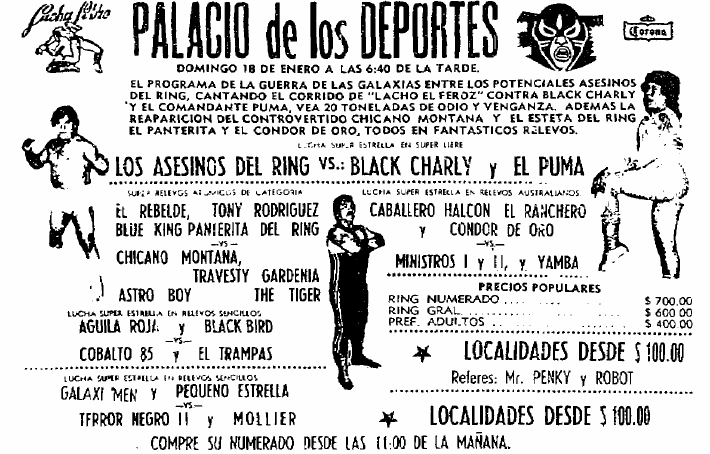 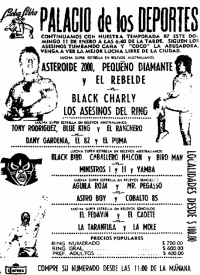 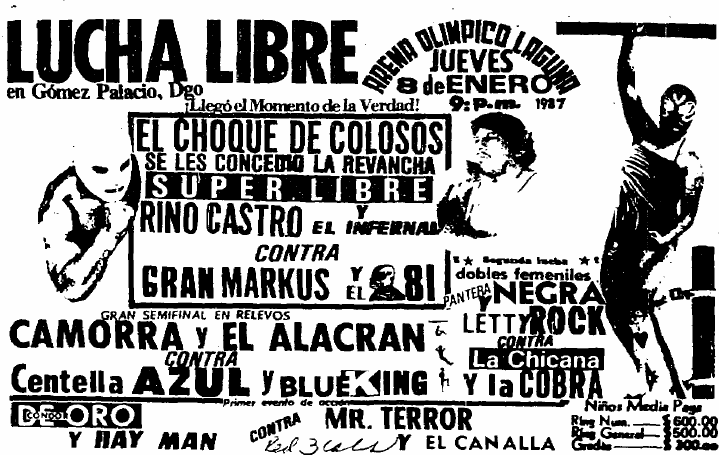 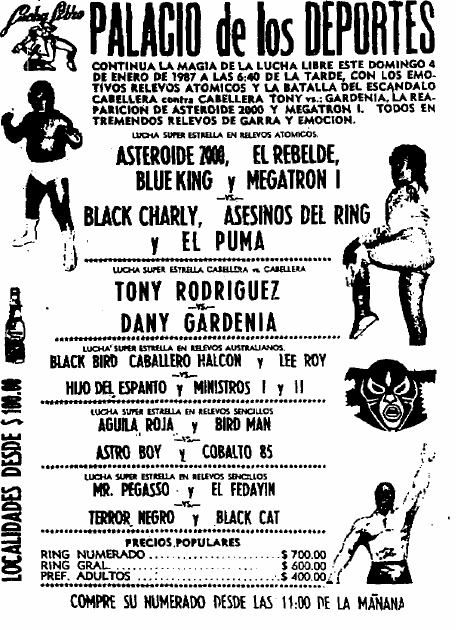 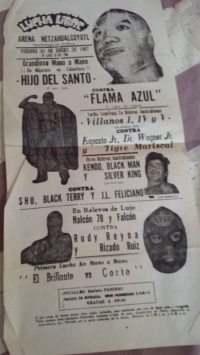 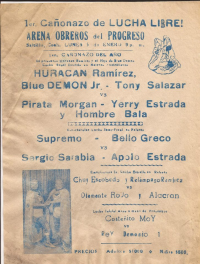 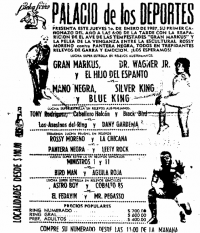 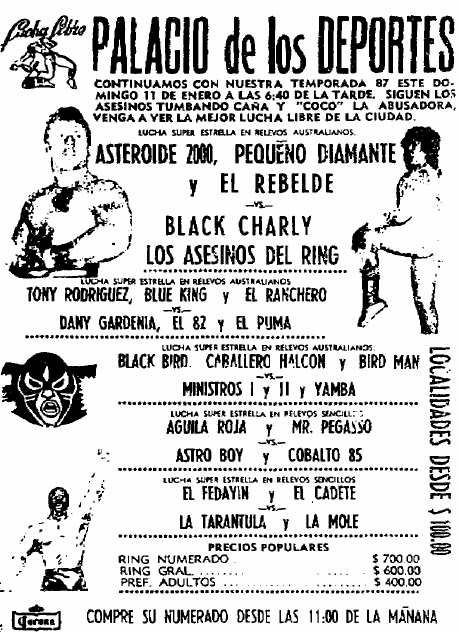 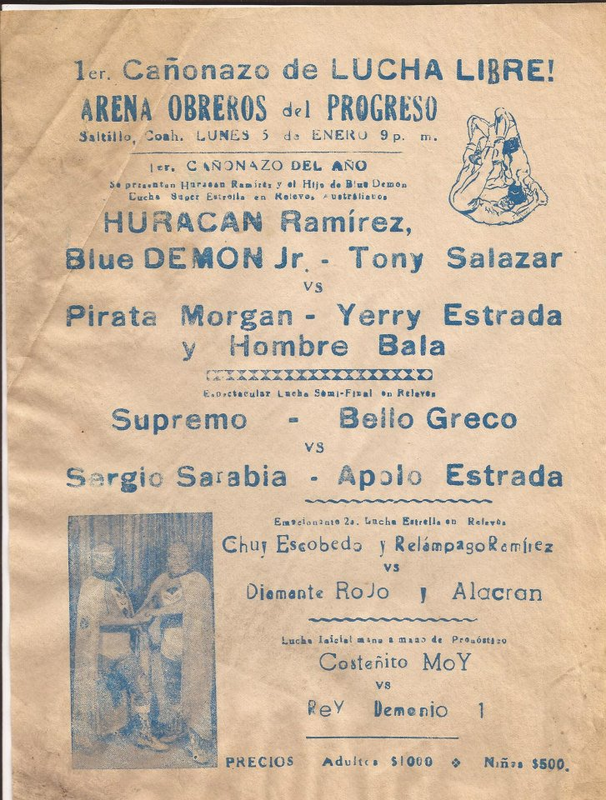 4) Black Terry, José Luis Feliciano, Shu el Guerrero b Espuelas De Oro I, Tiberius, Vengador Jr. 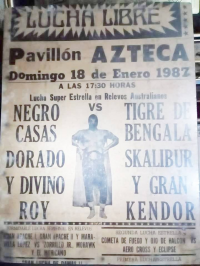 Event Notes: date may be wrong. 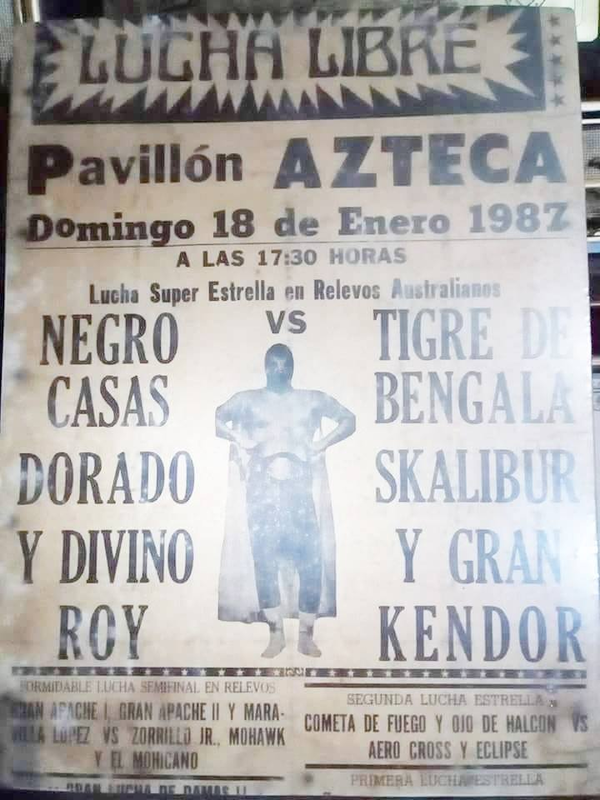 Location is probably right. 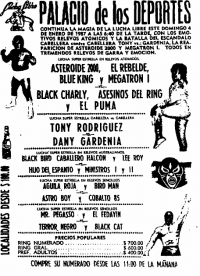 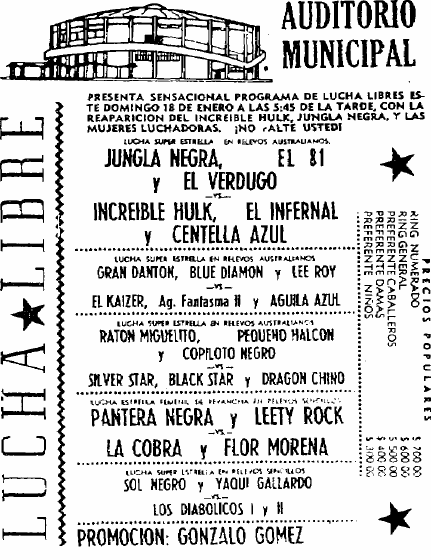 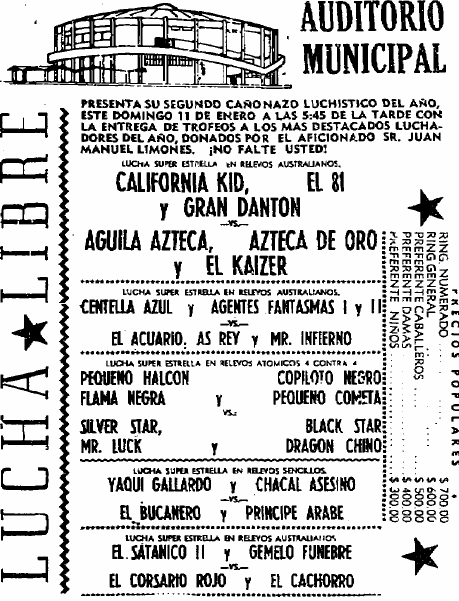 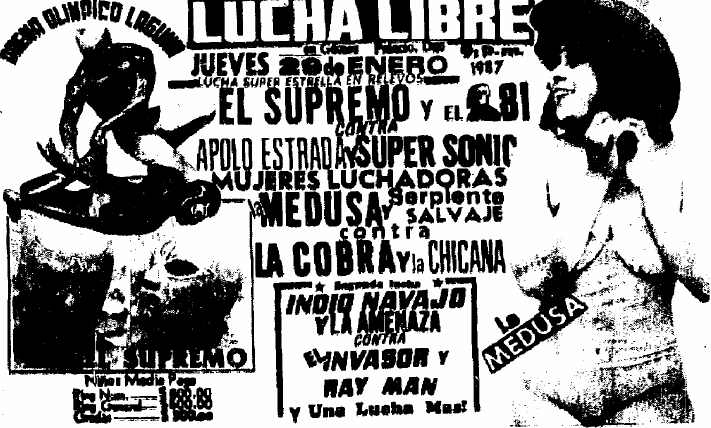 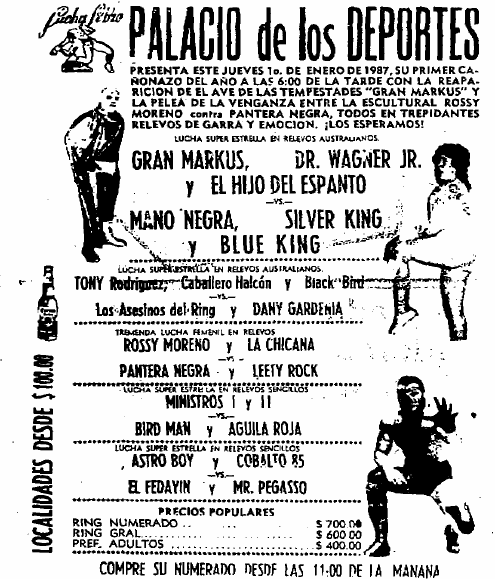 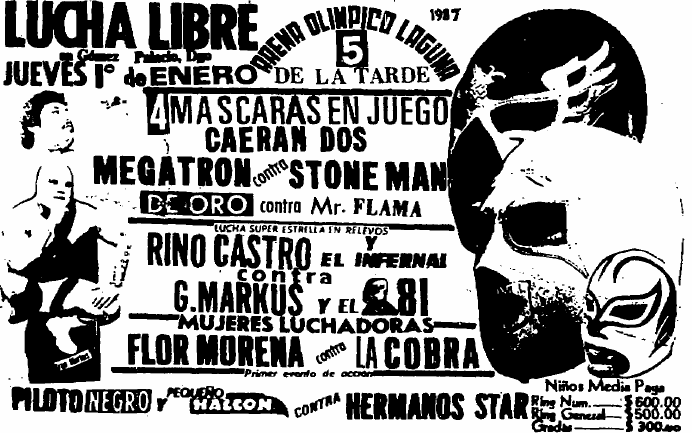 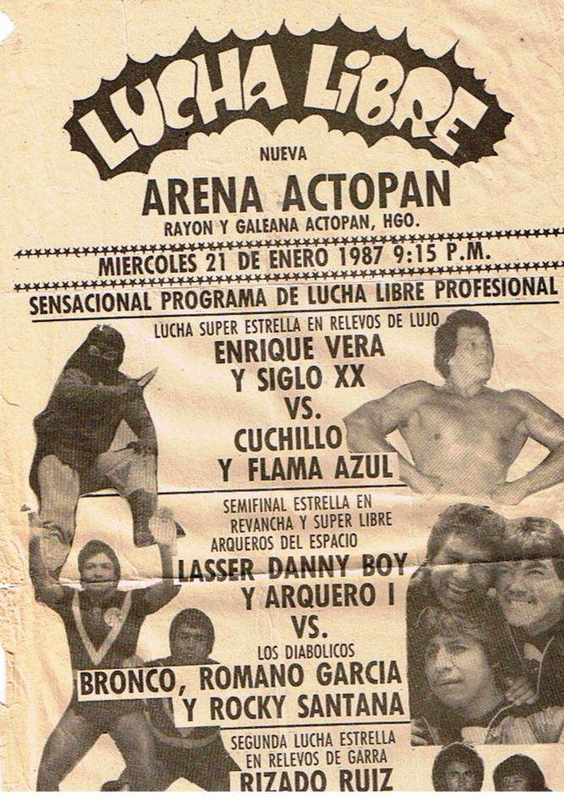 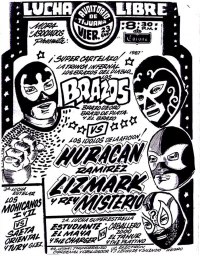 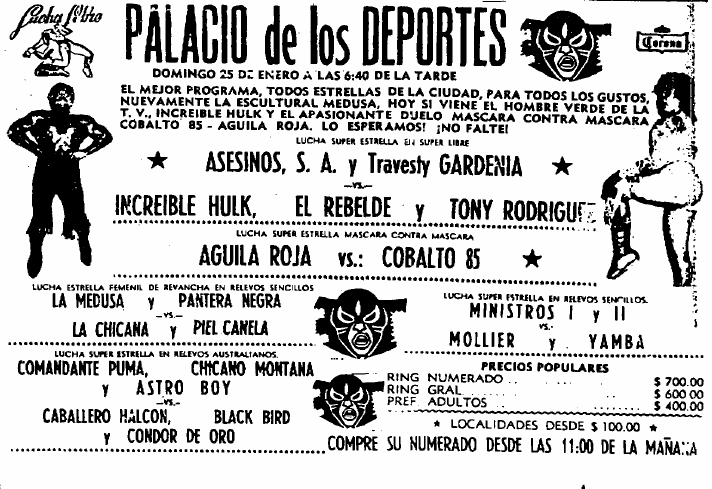 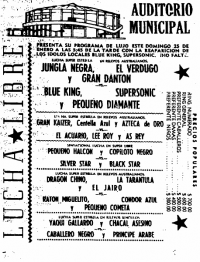 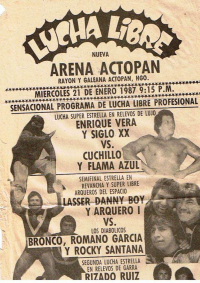 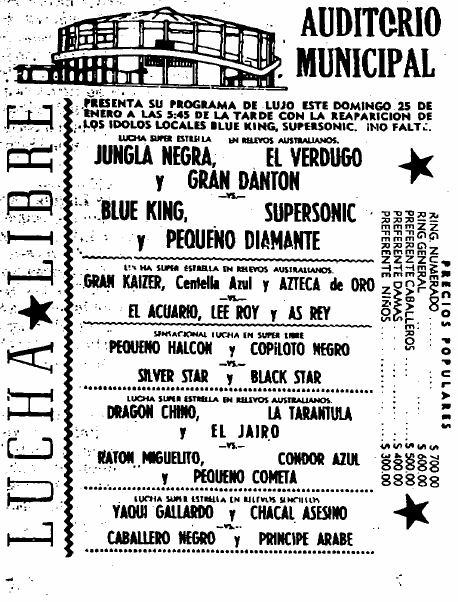 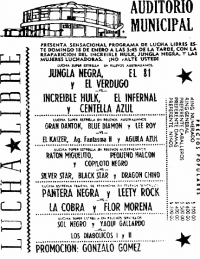 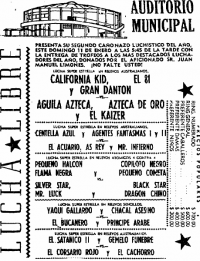 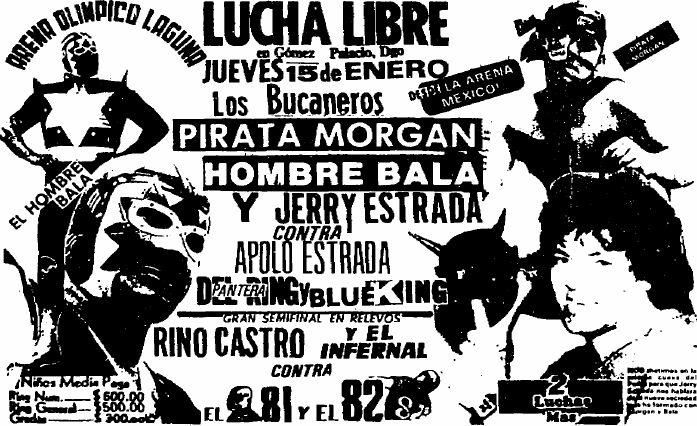 4) Herodes, Popitekus, Talisman vs Atlantis, La Fiera, Rayo de Jalisco Jr.